Upcoming tri. Hoodies Based on Kitchen Car Artwork, for future Pop-Up Shop? Thread: Upcoming tri. Hoodies Based on Kitchen Car Artwork, for future Pop-Up Shop? 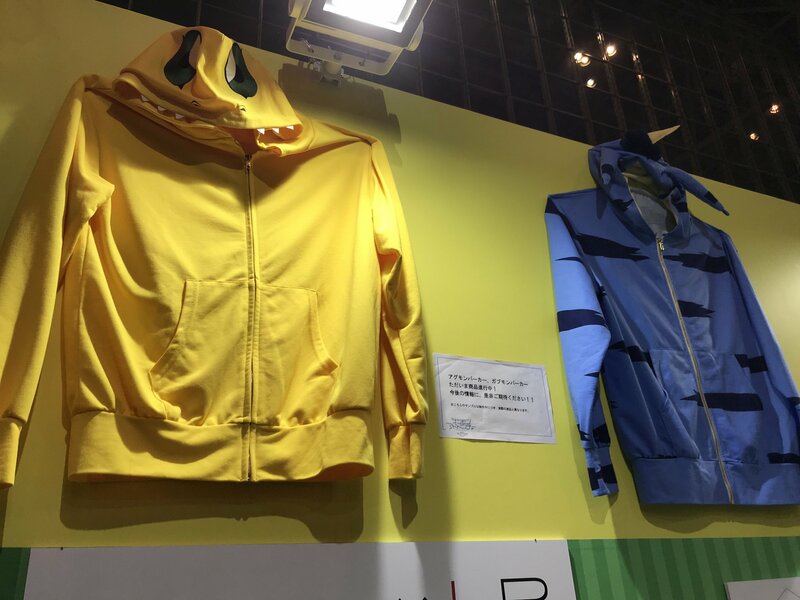 We've gotten some exciting images from Jump Festa today, such as the Digimon Adventure 20th display, and a look at upcoming Precious GEM figures, but tucked away was something it appears everyone missed! 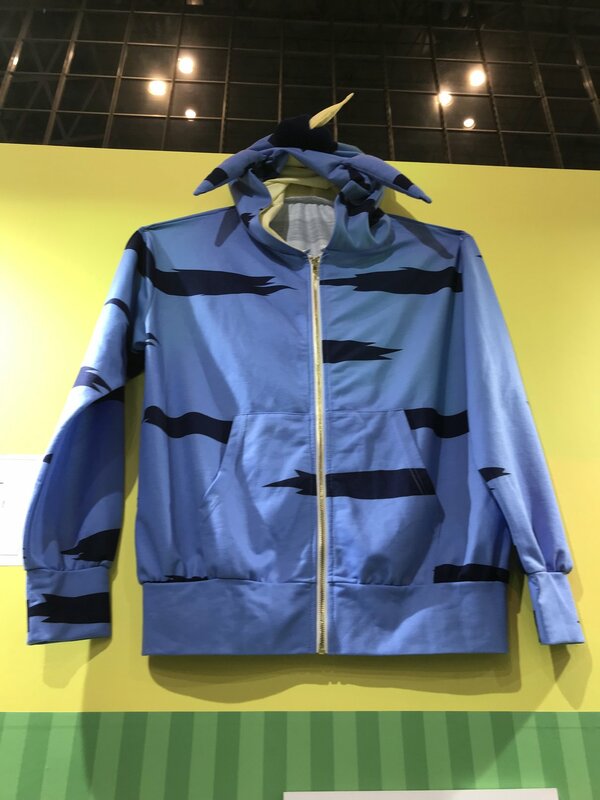 Tucked away in the goods corner of the Toei Animation booth were some new Digimon hoodies! At first glance these might look familiar, and that's because even though these are brand new products in development, we've actually seen them before! 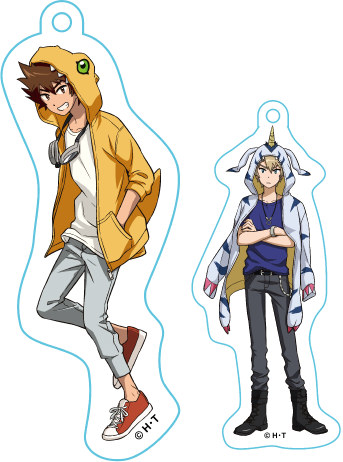 They're based on Taichi and Yamato's hoodies from the Animate Digimon Kitchen Car food truck! These are in development and not final, but the sign asks us to look forward to more information about them in the future. If you look at the bottom middle of the image of both hoodies together, you can make out part of the Limited Base logo. 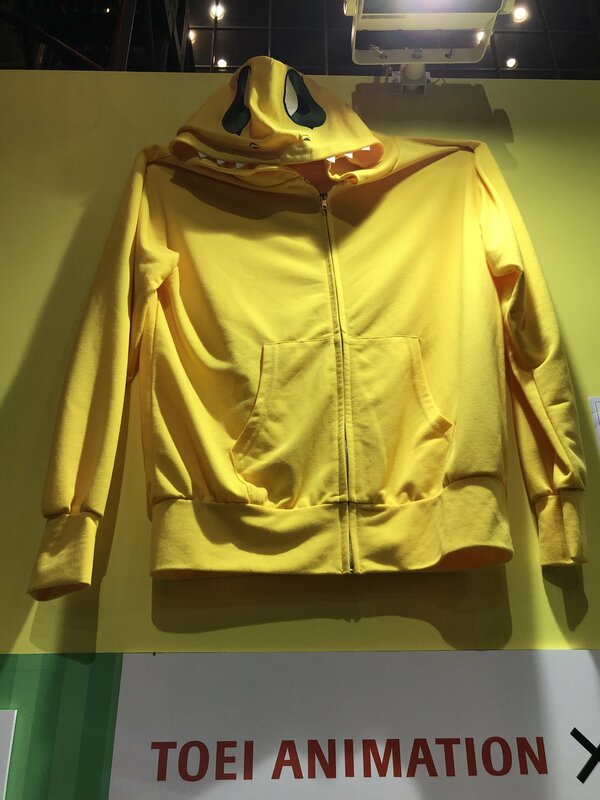 So it appears that perhaps we can look forward to another Digimon pop-up shop that will feature these hoodies as products? More details to come hopefully. Big thanks to hiroki0706 for sending me the photos and information about where he took them at Jump Festa. Why only Agumon and Gabumon? Awesome! I was hoping they'd be made into actual hoodies. Hikaris and meikos were my favorite. The long shirts ere adorable. Taichi and yamato are probably going to be the only two made as they are the most likely to sell. So probably no meiko... But they are cute none of the less. Alright. The hoodies. Those are nice. Shame we'll only get those two but it's still cool to see.